A bring forth our vast industrial experience and expertise in this domain, involved in presenting Ladies Nighty. This Ladies Nighty is available in varied colors, sizes, designs and prints according to the requirements of customers. Our product range is highly appreciated amongst customers for its classic appeal. Our company “C J Garments” was founded in the year 2015 as a Proprietorship firm with its official headquarters located at Tiruppur, Tamil Nadu (India). 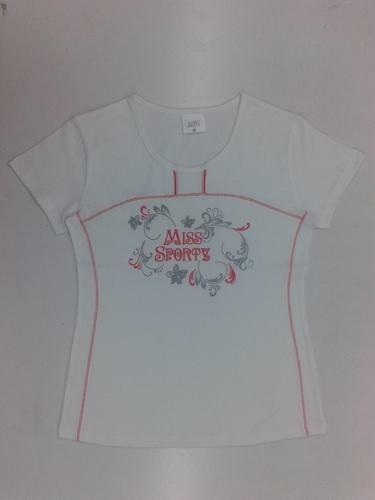 Our company was sprouted with a mission to deliver best quality garments for ladies at competitive price range. Our company is indulged in the Manufacture and wholesaler of different kinds of garments for girls such as Ladies Top, Girls Top, Ladies Half Sleeves T-Shirt, Girls Night Dress, lasides night suit and much more. Our products are extensively demanded amongst our esteemed clientele owing to their comfort to wear, skin friendliness, vibrant colors, the contra-distinct range of different sizes and low prices. We supply our products in premium and durable packaging so that they can be shipped safely over longer distances. Knitted using latest techniques of production and by incorporating finest quality fabric, our product range is completely satisfying our customers of its worthier quality.